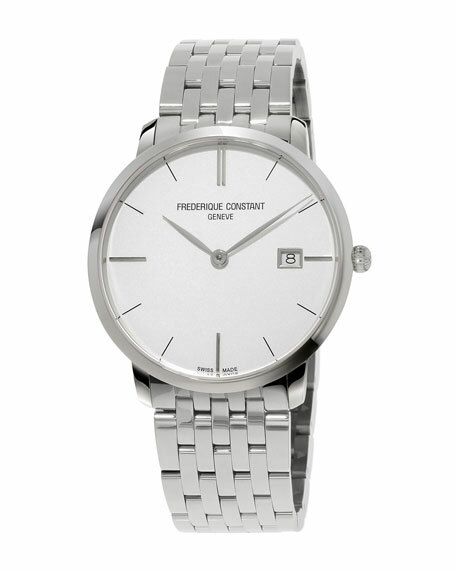 Frederique Constant watch from the Classics Slimline Collection. Round stainless steel case, 38.4mm. For in-store inquiries, use sku #1553233.